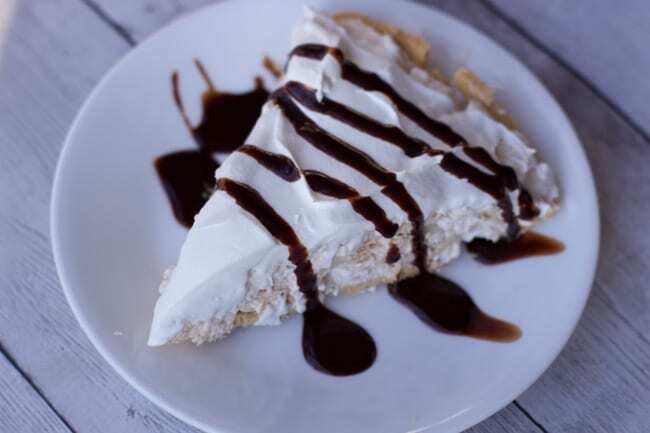 I remade this pie since it’s original posting date of 2010 using a store bought crust to truly make this a no bake peanut butter pie recipe. 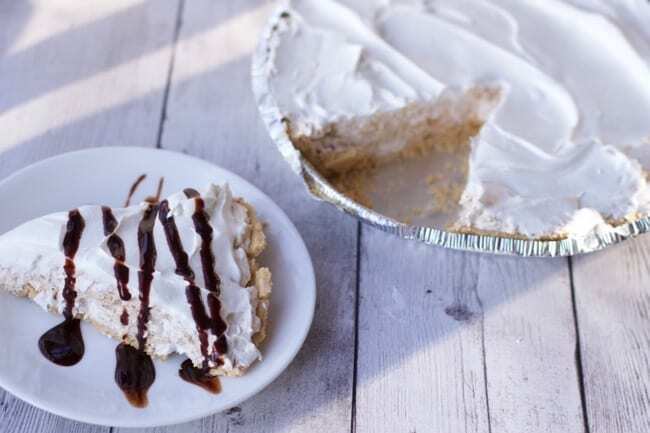 With only 6 ingredients anyone can easily put this pie together in minutes. Make it a few hours ahead of time so the flavors can meld, other than that you will not see any leftovers in your fridge the next day…. at least we did not. I was offered a large ziploc bag of crushed chocolate graham crackers from a camp this summer. I thought I would make a pie crust with them. However thinking of the best compliment to that was a little tricky. I began googling chocolate graham cracker crust and did not find that many recipes, mainly using oreos or regular graham crackers. 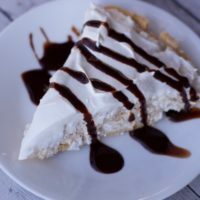 Finally I came upon this Peanut Butter Pie recipe that I thought would taste much better on a chocolate crust than regular pie crusts. If you love peanut butter there is a good chance you love chocolate too. As noted above we made this in a traditional graham cracker crust and it was delicious too. 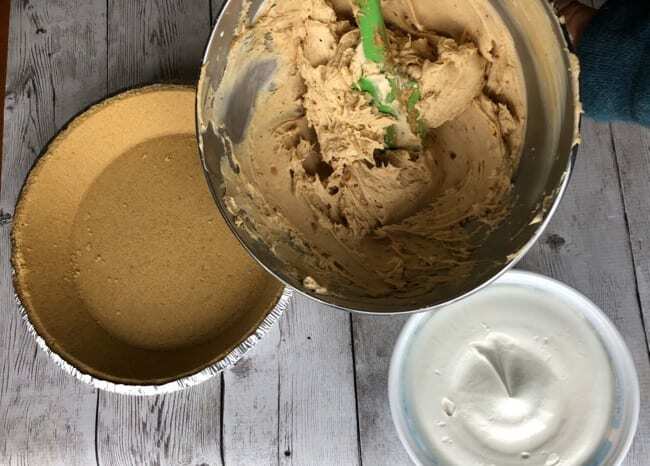 Start by mixing the peanut butter and cream cheese together in a mixer. You can do this by hand as well but think you get a more smooth results quicker with a mixer. Then fold in the whipped topping into the mixture. 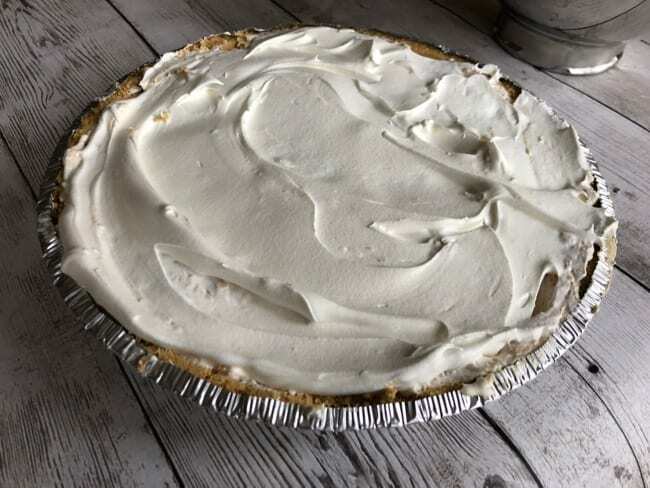 The key to this step is to keep the whipped topping fluffy so it will keep the pie fluffier too. 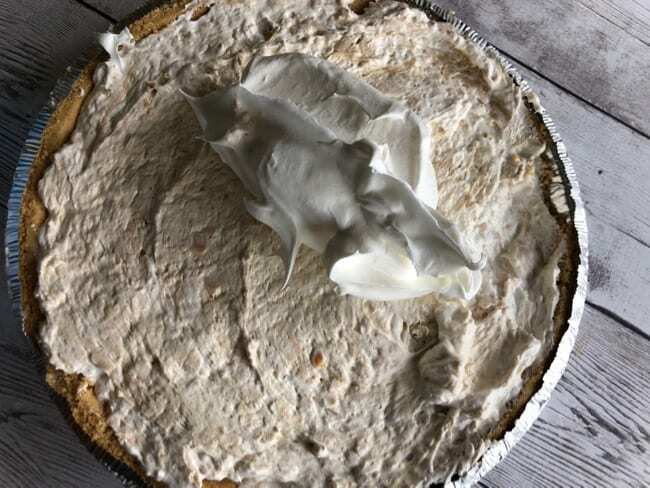 Layer the filling into your pie crust and top with the remaining whipped topping. Cover and place in the fridge for a few hours. That is it. Totally easy and even more flavorful than you can imagine 6 ingredients can provide. Sometimes simple is good. 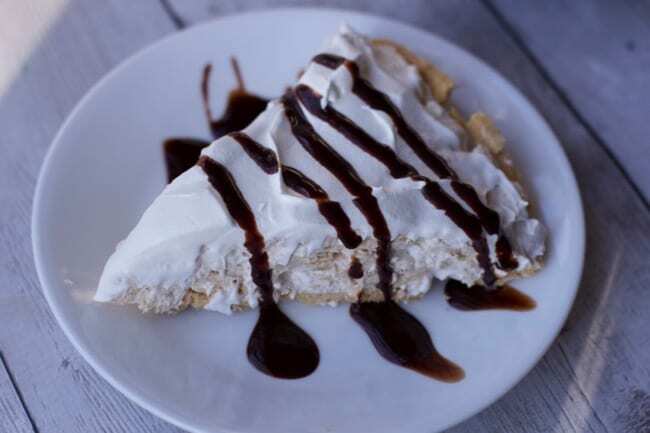 I decided to add a little more indulgence by adding chocolate sauce over each slice for those who wanted it. The kids loved this and I even added a few tablespoons of peanut butter powder to add a little more flavor. This is optional but I had a larger crust so I needed more peanut butter. I would definitely recommend crunchy peanut butter as well. If you don’t have any, consider adding some chopped peanuts for some extra crunch. 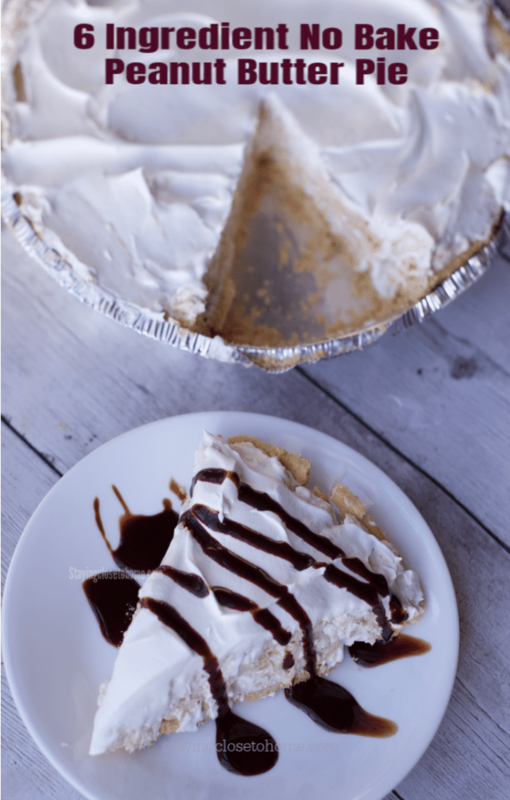 Be sure to Pin this when you are ready for a no bake pie recipe. In a mixer bowl, combine cream cheese and peanut butter until blended. Add, powdered sugar and milk until well blended. Fold in half of the whipped topping. Cover filling with remainder of whipped topping. Cover lightly and place in fridge for at least 1 hour.